William Morrow Impulse, 9780062463616, 144pp. After a difficult few years, Tilly Adams is ready for life to start going right. Though she has a case of first-day nerves teaching art at the local community college, she knows it isn’t anything a few snuggles from her rescue puppy won’t cure. Until she sees Dylan Scott again, her one-time BFF and first love sitting in the front row. When Tilly agrees to design the logo for Dylan’s new helicopter touring company, it’s business only . . . until she finds herself falling into his arms once again. Can she possibly open her heart back up to the only man who’s ever broken it? But soon they’re both realizing the truth—love always deserves a second chance. 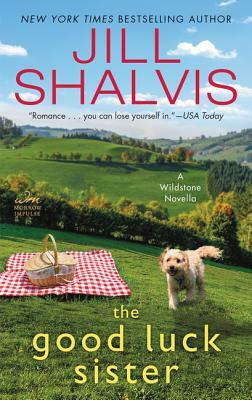 New York Times Bestselling Author Jill Shalvis lives in a small town in the Sierras full of quirky characters. Any resemblance to the quirky characters in her books is, um, mostly coincidental. Look for Jill’s bestselling, award-winning books wherever romances are sold, and visit her website, ww.jillshalvis.com, for a complete book list and daily blog detailing her city-girl-living-in-the-mountains adventures.